Pit 4 Cofferdam Installation - Global Diving & Salvage, Inc. 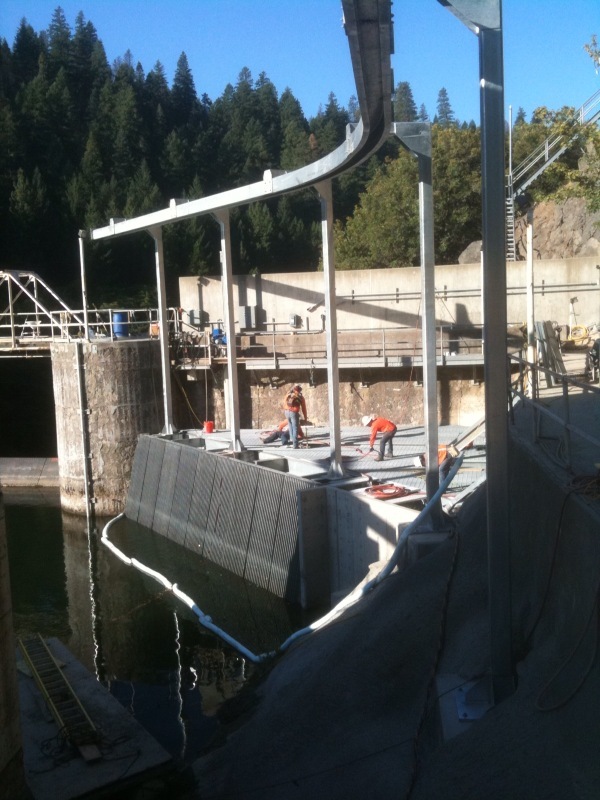 Global Diving & Salvage, Inc. provided a dive crew to install and seal a 25’ x 15’ wide cofferdam to the face of Pit 4 Dam. The installation required the removal of 5.5 cubic yards of concrete. To accomplish the removal the divers utilized rivet busters, sinker drills and rock splitters. After removal of the concrete the cofferdam was installed with almost 40 epoxy anchors which were pull tested prior to tightening. 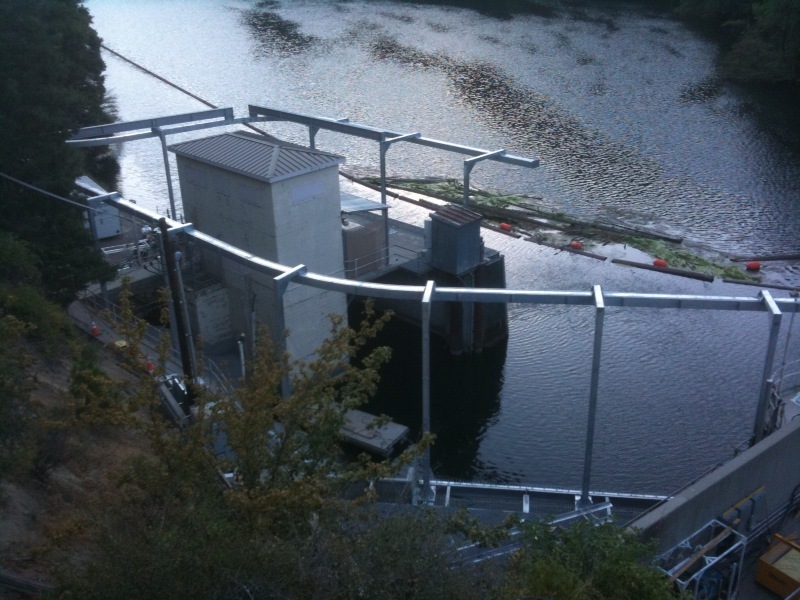 The cofferdam was installed to allow for a new 8 foot diameter penetration and gate through the existing dam. A new intake structure was subsequently installed.